Happy Tuesday! I am celebrating the book birthday of Mine. Yours. with author Marsha Diane Arnold. 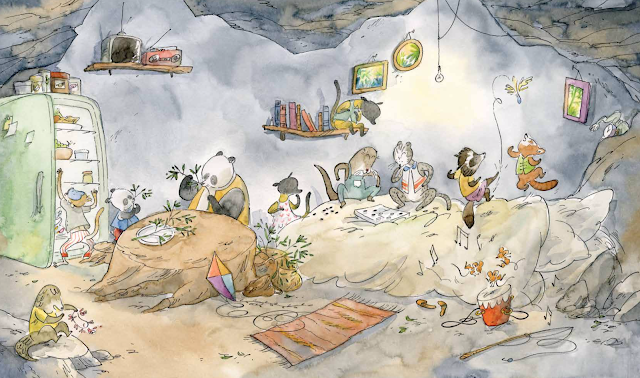 She dropped by to chat with me about Qin Leng's illustrations, pandas, story, and Caldecott Medalist Matthew Cordell. I wrote the words in purple, and she wrote the words in black. Thank you, Marsha! Congratulations! Mine. Yours. tells the story of opening your heart, even if you’re pushed a little into opening it. 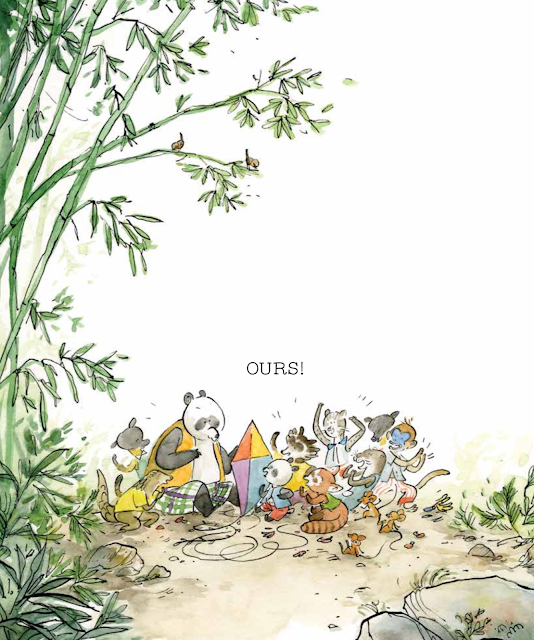 Qin Leng’s illustrations are exquisite. Pandas, a pangolin, a raccoon dog, a red panda, a fishing cat, a river otter, Chinese jumping mice, yellow-throated martens, and a golden snub-nosed monkey are amazing creatures found in Asia and they are also found in Mine. Yours. I hope Mine. 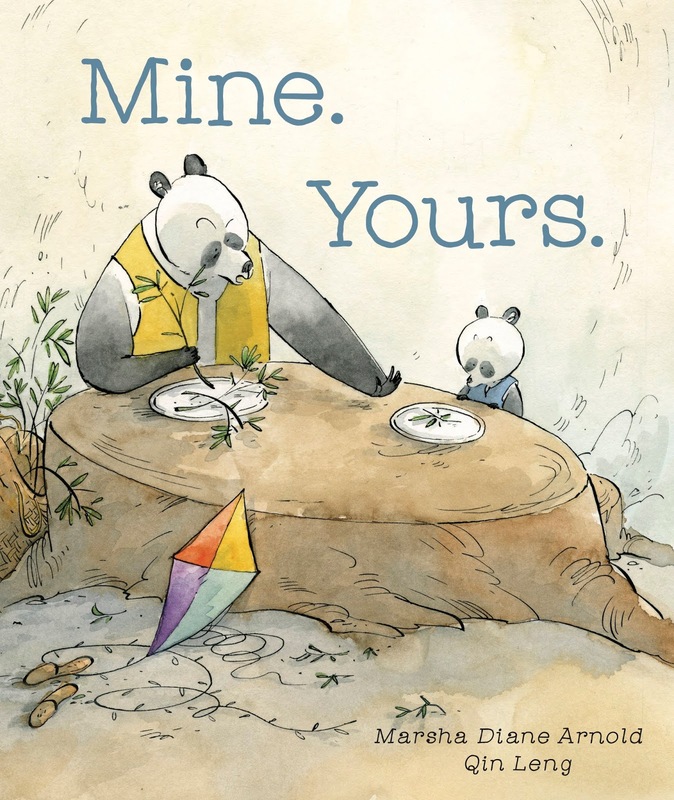 Yours works its way into your heart the way Little Panda worked his way into the hearts of Big Panda and the other forest creatures. Story is the foundation of our humanity. Story takes us on a journey, leads us on an adventure. The best stories distill the essence of our humanness. My first minimal text book was Lost. Found., just two words repeated, 18 words in all. It was brilliantly illustrated by Caldecott medalist, Matthew Cordell. I loved Bear’s story and so did my editor. 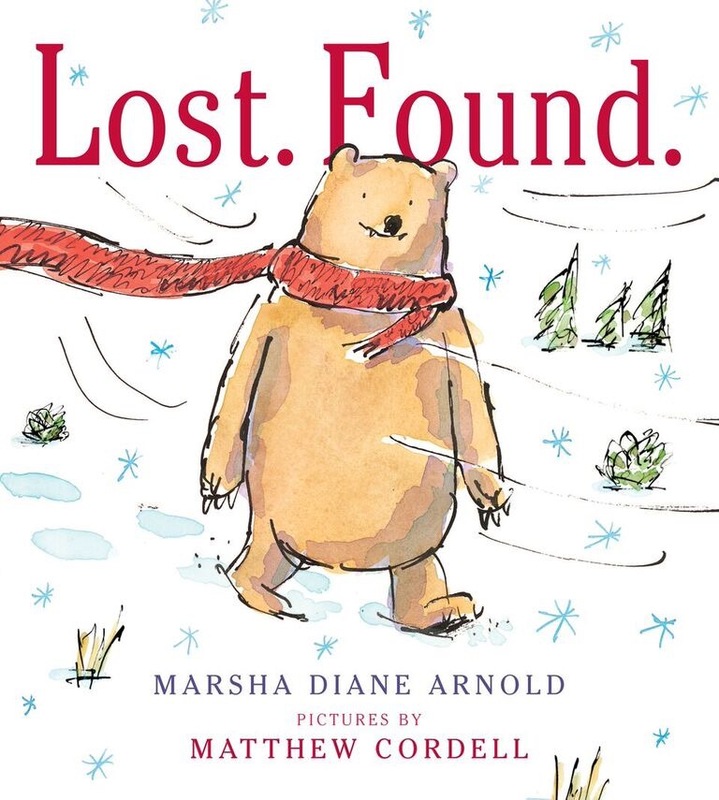 We thought about a second Bear story, Mine. Yours., but it didn’t work with Bear, nor with the publishing house, so I changed things up a bit with Asian animals and Asian games. Kids Can Press loved Little Panda and Big Panda. 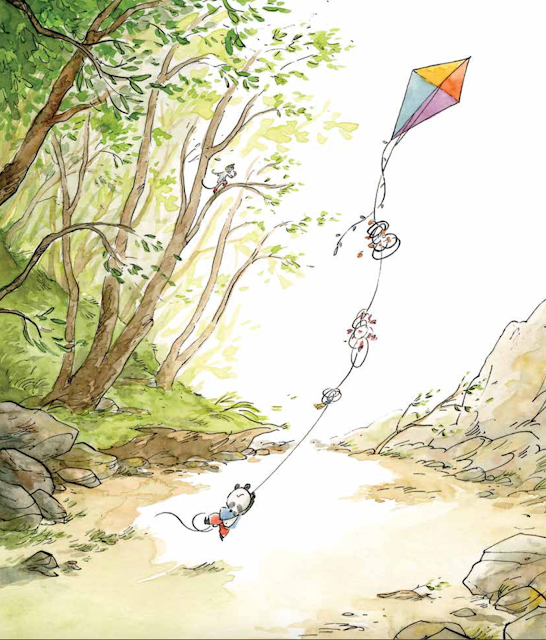 And now I’m lucky to have another brilliant illustrator, Qin Leng, with this 25-word book, with three different words. I’m moving up with my word count! Thank you, Mr. Schu. I’m so happy you invited me into your blog world. I have fun memories of meeting you and your life-size cardboard cut-out at ALA. Borrow Mine. Yours. from your school or public library. Whenever possible, please support independent bookshops.